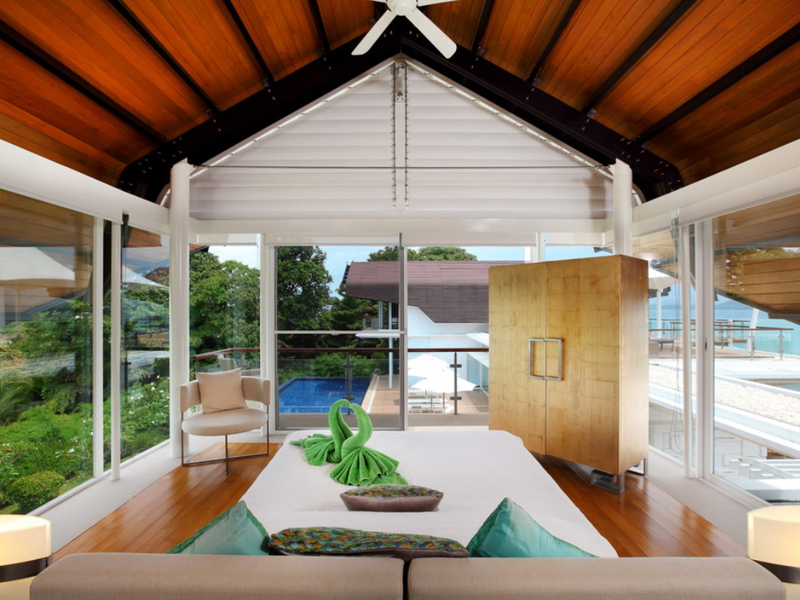 This modern Thai style villa is stunning with glass walls, spacious rooms and a beautiful design throughout. These glass walls and many glass sliding doors set over two floors provide you with excellent views over Phang Nga Bay and the surrounding lush scenery. This villa comprises of five bedrooms, five en-suite bathrooms, a fitness room, a large open-plan living area, a dining area and a fully equipped kitchen. Outdoors, enjoy cooling down in the private infinity-edge swimming pool with the tropical surroundings, large grass areas and mature palm trees. Also on the terrace you can laze upon a plush settee as you overlook the ocean or bask in the heat on a sun lounge. There are also sun lounges on the roof-top terrace where the unforgettable views are best seen. To make your stay even more enjoyable, there is a daily maid service as well as a private chef who will cater for you. The five bedrooms are comfortable and air-conditioned although there are ceiling fans and some feature glass doors that you may open to naturally cool down the room. All five bedrooms have cozy king-size beds, dressing areas, wardrobe space and en-suite bathrooms with a wash basin, shower and toilet. 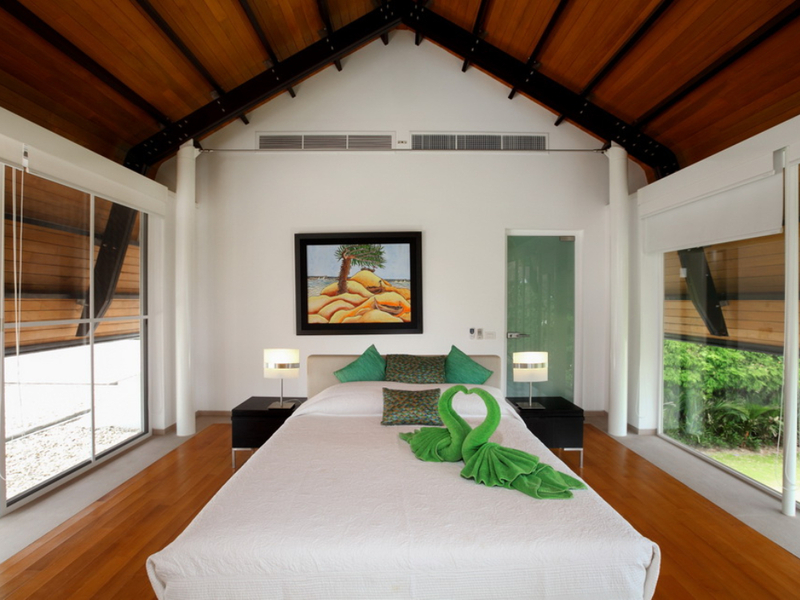 The master bedroom also includes a large bathtub that overlooks the gardens while the bedrooms on the second floor overlook the swimming pool and ocean. The kitchen is great with large counter-tops to prepare you meals on and a range of high standard European appliances including a refrigerator, oven, stove-top, microwave, tea and coffee making facilities, etc. The dining area has plenty of seating at the large table and the living/lounge area also has plenty of plush seating. Entertainment is made easy in the living areas with international channels and movies on the flat-screen televisions.